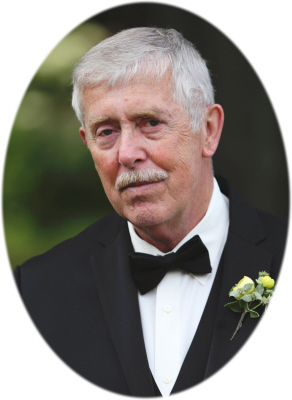 Sherman Michael "Mike" Richmond age 73, of Alma, MI, passed away Thursday, September 13, 2018, at Mid-Michigan Medical Center, Alma, MI. A Memorial Service will be held at Smith Family Funeral Homes, Ithaca, MI on Wednesday, October 3, 2018 at 11:00 A.M., with Visitation from 10 A.M. until the time of service. Burial will take place at Ithaca Cemetery, Ithaca, MI. Sherman was born in Gay, West Virginia on June 28, 1945, the son of Lewis and Vera (Parsons) Richmond. He graduated from Millersburg High School, Millersburg, OH. On September 25, 1976, Mike married Patricia Ann Allen at the Alma United Methodist Church, Alma, MI. Mike enjoyed spending time outdoors, fishing, hunting, reading about American history and the out of doors, and sharing his sense of humor with his kids. Mike worked for Total Refinery for 29 years prior to its closing in 1999. He then worked for Dow Chemical until his retirement. Mike is survived by his wife Patricia of Alma, and 4 children: Michael (Cheryl) Richmond of Ithaca, David Richmond of Saginaw, Christy (Lawrence Graff) Richmond of CO, Sara (Ryan Davidson) Richmond of North Beach, MD; and grandchildren: Jami (Randy) Czachowrski, Megan (James) Lindsay, Ida Elizabeth Davidson, and one more due in January. He is also survived by brother Keith (Georgiann) Richmond of New Philadelphia, OH, sister June (Kenneth) Anderson of Millersburg, OH, brother Stephen Richmond of Wooster, OH, and mother in law Verneda Allen of Alma, MI. Mike was preceded in death by his parents, father-in-law William Allen, and sister-in-law Barbara Richmond. The family requests that Memorial Contributions be made to Gratiot County Commission on Aging, 515 Pine River St., Ithaca, MI 48847 or Pardee Cancer Fund, 315 Warwick Ave., Alma, MI 48801. Online condolences can be sent to www.smithfamilyfuneralhomes.com. The family is being served by Smith Family Funeral Homes, Ithaca, MI.